Making the Impossible Possible: Serendipity works! 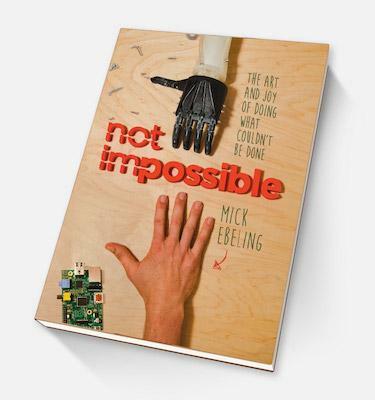 BOOKRELEASE 1/6/15 - NOT IMPOSSIBLE! Alma Martinez has been asking from the start of our working together as partners for The ABC4All Legacy and the ABC4All Jamboree! to keep the talks short, 2 minutes or less! OK, I’m up for the challenge! But that does not mean that I’m going to meet it! Especially when there are 3 words that describe me – Rejuvenated, Facilitator and most recently, Connector – I figure that’s 6 minutes! Our history is that we talk to 100 or even sometimes 1000 people, and 1 Angel emerges who volunteers with ABC4ll. 15 years later quite a group of self-collecting Angels have gathered and are working together to create better communities so far in 119 countries. What is being manifested is that “The World of A Better Community For All (ABC4All)” has taken hold and has expanded on a global basis, cutting across all the existing divides: political, religious, economic, class, caste, language, and yes, even warring factions, separately, have been relating to the concepts and the Principles of ABC4All. Anyone can read the principles and make up their own mind. No matter what the reaction, we know that CULTURAL UNITY IS POSSIBLE. One country, Somaliland, unbeknownst to us, held an all day event they called, “Local ABC4All Community Empowerment Day,” and since then 22 educational scholarships have awarded every year. That, friends, is just one example to show what has been happening, over and over, so that now if you go to a search engine, put in the key words, in quotes, “what a mentor can do” ABC4All – you come up with many references, in the case of an ABC4All site search, over 70 such links to explore. "I am really excited about being a part of ABC4All TEAM. I believe we'll fulfill our purpose which is helping the people of the newest nation in the world. Saving lives is what our team is about." -- Ger Duany. What happens when people listen to the "Voice of Reason" referenced in the book by Bryant McGill: IMPORTANT MUST READ for anyone wanting to help make it a better world for all. 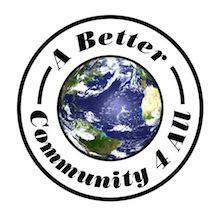 The World of A Better Community For All: anyone in the world can participate with The Legacy of ABC4All and thereby create their very own Legacy for their loved ones and descendants!